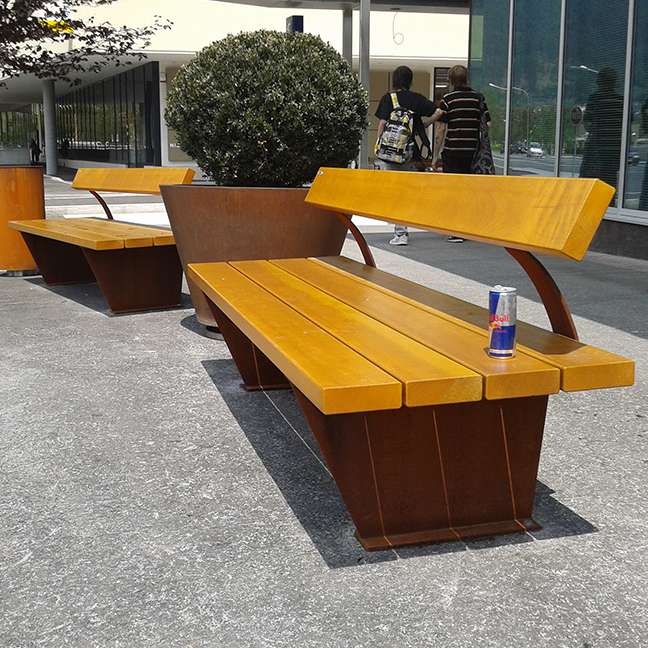 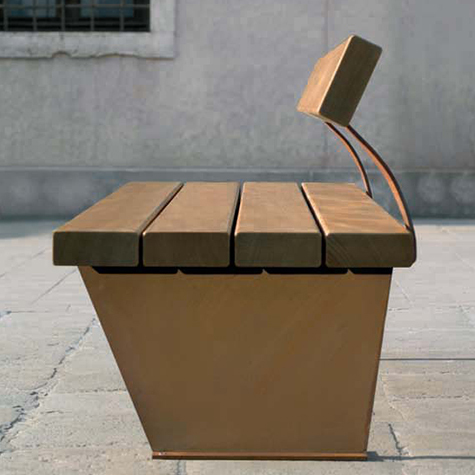 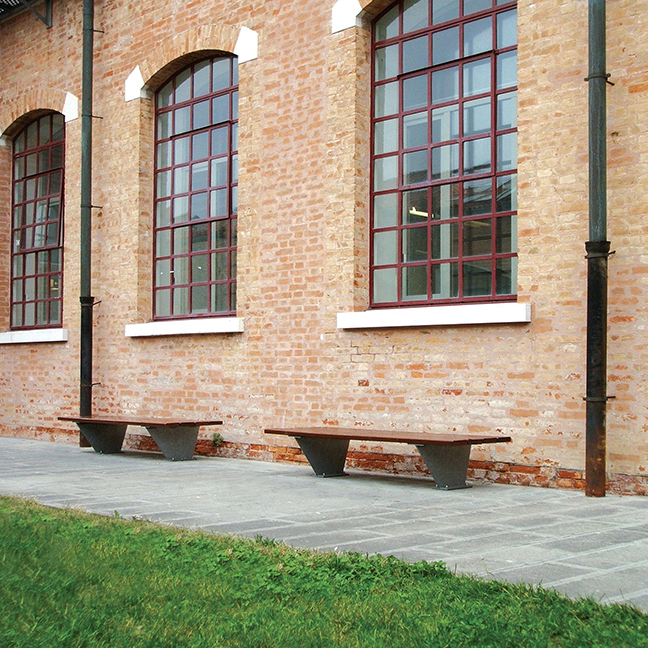 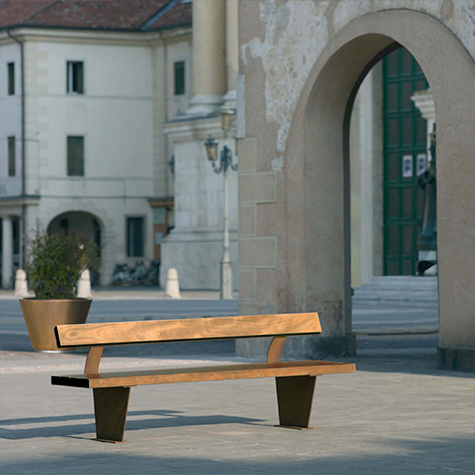 The Campus Seat, is made up of two 7mm thick steel end supports, shaped according to the design. 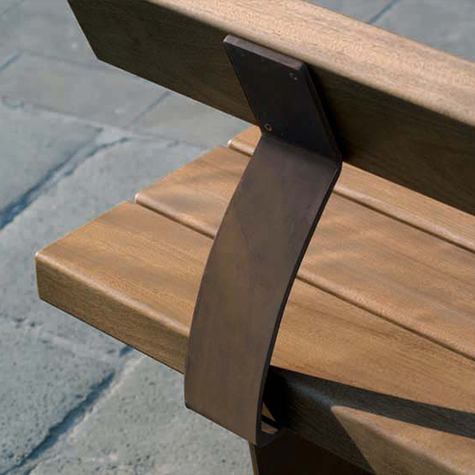 The seat is provided with upper and lower plates of the same thickness for ground anchoring with anchor screws (not included) and also to fix the slat with countersunk screws. 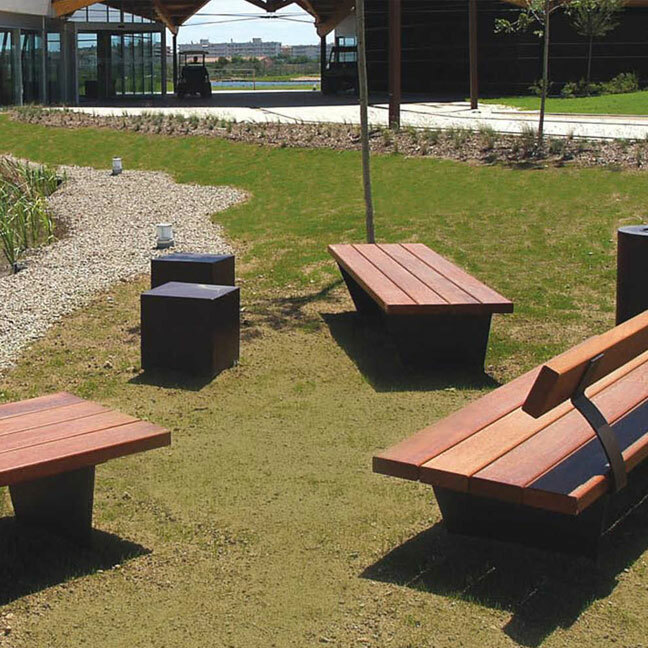 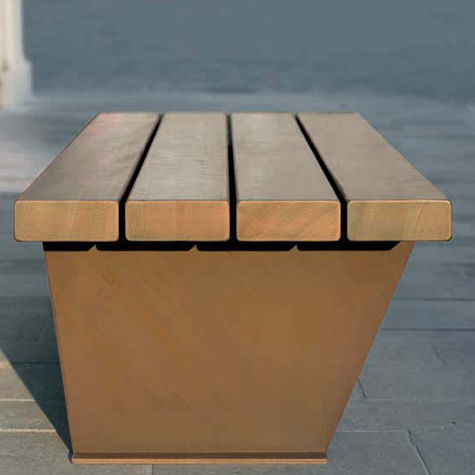 The seats backrest is made up of 150 x 55 x 2000mm timber slats. 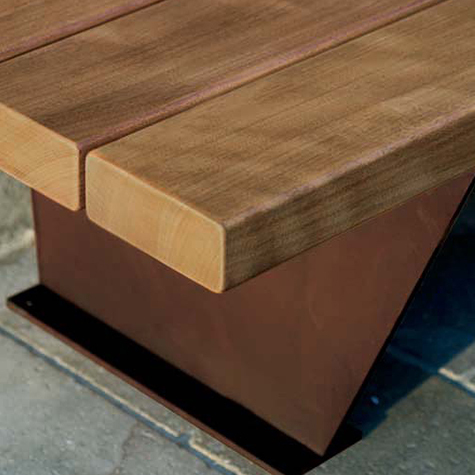 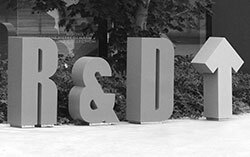 All metal parts are hot dip galvanised (in accordance with relevant UNI standards) and polyester powder coated.